Sleeveless shirts are a summer staple. Don’t let them live in your closet. Brachioplasty helps men and women feel proud to bare their arms. 1 What is an Arm Lift (Brachioplasty)? 2 Who Should Receive an Arm Lift? Brachioplasty, also known as arm lift surgery, is an operation to provide patients with concerns of saggy, loose skin on their upper arms a more sculpted definition. 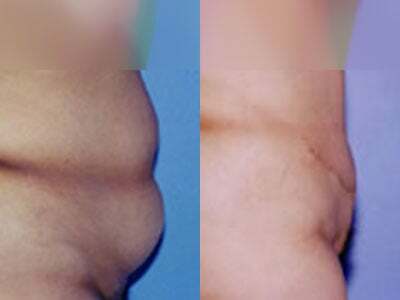 The procedure is performed by removing pockets of localized fat and narrowing the primary supportive tissue. The upper arms can become lax due to massive weight loss, bariatric surgery, aging, genetic or hereditary conditions, and diet and exercise are often time not sufficient enough to see lasting results. Receiving a brachioplasty procedure removes the excess flappy skin and gives patients a reason to feel more confident in sleeveless or fitted shirts. Dr. Gentile and his Corpus Christi staff offer a variety of techniques to create contoured arms that are in better proportion to patients’ individual physiques. Arm lift surgery can be performed on its own, or be paired with additional body sculpting procedures such as liposuction and/or tummy tuck for further enhanced results. Who Should Receive an Arm Lift? The ideal candidates for an arm lift are men and women who are in good health with insecurities about the laxity of their skin and the tone of their arms. Patients who have recently experienced a significant amount of weight loss, leaving saggy skin on the upper arms, or those who have found little to no success in following a healthy diet and regular exercise can greatly benefit from brachioplasty. Patients should not have any health issues that would prevent them from proper healing. Many have found that their arms lose definition with aging, and that strength training only sculpts the muscles, but leaves the skin loose and unattractive. This can be corrected by an arm lift procedure. Candidates should be nonsmokers with a steady body weight within a normal range for their age, height, and structure. During your consultation with Dr. Hérve Gentile, you will have the opportunity to discuss your specific concerns and develop a personalized treatment plan to achieve your desired results. Depending on your particular case, there are three types of techniques that can be used for your arm lift procedure. A traditional incision arm lift removes the excess skin and localized fat from a slit in the back of the arm. If preferred, the procedure can also be performed through the front of the arm, resulting in a smooth appearance from behind with no signs of scarring. Dr. Gentile will create an incision running from the elbow to the top of the axilla to re-sculpt the arm. Once the operation area is toned and tightened, the incision will be sutured. A minimal incision arm lift is performed through the axilla, allowing any scarring to be disguised beneath the armpit. This can also be done through an incision in the upper section of the arm. Minimal incision brachioplasty is most suitable for patients with minimal skin laxity who only need marginal tightening and skin reduction. 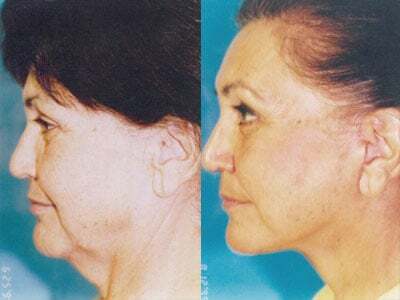 Often this can be combined with liposuction to achieve a better result. An extended incision arm lift is ideal for men or women who suffer from severe skin sagging and tissue softness, or have recently lost an ample amount of weight. This procedure decreases the circumference of the upper arm by an incision made from the bottom of the axilla to the elbow. Dr. Gentile removes and tightens the excess skin from the upper arm and the side of the chest. This procedure is commonly referred to as the L-Shape Brachioplasty due to the pattern of its incision. 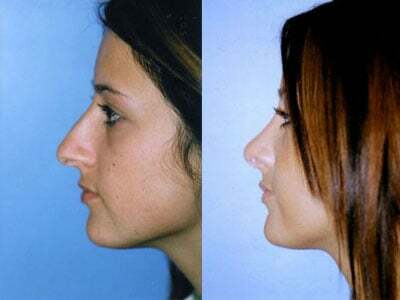 During your consultation at A Better You Cosmetic Surgery and Laser Center, Dr. Hérve Gentile will ask about all of your concerns and anticipated outcomes. You will then undergo a physical examination of your current arm structure, the characteristics of your skin, and your body type to discover if you are a suitable candidate to receive arm lift surgery. You will also be shown before and after pictures from prior operations to give you a better indication of what to expect, but please remember results vary between patients. Depending on your specific needs, a brachioplasty incision-type will be selected, and you will receive a detailed explanation of the entire procedure process. You may ask any questions that arise and the doctor will assure a comfortable and thorough experience. A comprehensive list of recovery instructions will be given to you and an estimated quote depending on your individualized arm lift plan. To ensure a successful brachioplasty, Dr. Gentile will give you detailed preparation instructions for your procedure. You may need to undergo particular examinations prior to your operation. These will be determined during your consultation. For 4-6 weeks prior to your surgery, as well as 6 weeks following it, you must refrain from smoking. All anti-inflammatory and/or herbal medications should be avoided as they act as blood-thinners and could prevent optimum healing. Dr. Gentile will prescribe post-surgery medication which should be filled and in easy-accessibility prior to the day. Please use a bacterial soap to scrub the operation area the night before your surgery. Do not consume any beverages or food after midnight. Bring a comfortable, loose-fitting button-up top or wrap to go home in after surgery since you will have a restricted range of motion. Make arrangements for a friend or family member to pick you up after your surgery. You will need to have someone stay with you for the first night to assist in post-operation needs. Dr. Gentile will be able to answer any more personalized preparation inquiries during your consultation. Typically, an arm lift procedure will last anywhere between 1-2 hours, depending on the incision technique discussed in your consultation. Dr. Gentile will perform the operation on an outpatient basis, so you will be able to return home as soon as the procedure is complete. Based on personal preference, state of health, and Dr. Gentile’s recommendation, an appropriate anesthesia will be selected and administered. You will be marked for proper incision placement and once comfortably induced, the operation will begin. If you are receiving the traditional incision method, the incision will be made from the top of your armpit to your elbow. If you are receiving the minimal incision method, the operation will be done only through the armpit. And if you are needing the extended incision method, an incision in an L-Shape will be performed from the bottom of your armpit, up until your elbow. Your excess skin, localized fat, and soft tissue will be removed appropriately. Liposuction will be performed if needed. Once your brachioplasty procedure is complete, your arm will be sutured and wrapped. Dr. Gentile will take extra precaution to minimize the appearance of scarring. The operation is then complete and your friend or family member will be able to take you home to rest and recover. Once your brachioplasty is complete, a compression bandage will be placed around your arms for swelling reduction. Dr. Gentile rarely places small drainage tubes for any excess fluid. If drains are necessary, you will be given full care instructions. Do not be alarmed if you experience any tingling or numbness. This is normal and will subside after a couple of weeks. You may take your prescribed medication to ease any pain or nausea. For washing, only sponge baths should be taken for the first week following your operation. After one week, you will come into the office for a follow-up appointment and your bandages and small drainage tubes will be removed. Dr. Gentile will be available to answer any more questions or concerns you may have and check that everything is healing properly. Most patients return to work and normal activities the following week. You should avoid any exercise, strenuous activities, or heavy lifting for the next 4-6 weeks while your body recovers. Every patient experiences different results; however, most men and women who undergo arm lift surgery are pleased with the tone and definition that their new arms encompass. Swelling may occur to some extent for the first 3-months, so complete results may not be readily apparent. Brachioplasty will create lean, sculpted arms that boosts patients’ confidence to wear sleeveless tops or shirts with fitted sleeves. 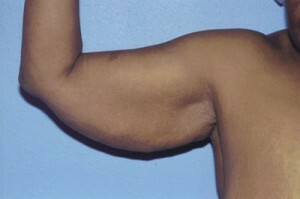 Patients will possess aesthetically pleasing, proportionate arms that are a better match to their physique. Unfortunately, arm lift surgery cannot prevent skin sagging due to aging or arm circumference increase due to weight gain. If a healthy lifestyle with a nutritionally rich diet and regular exercise is adhered, results can be long lasting. Price is determined based on your individualized procedure plan. 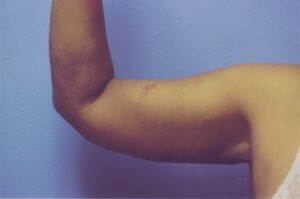 If other surgeries are performed in conjunction with the Brachioplasty, additional cost will be reflected. After a private consultation and thorough assessment, specific pricing will be discussed. Schedule a consultation online to discuss your interest in receiving an arm lift with Dr. Hérve Gentile and his Corpus Christi staff. We look forward to speaking with you and helping you achieve your desired results.